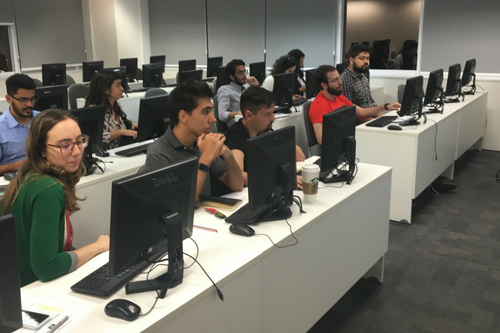 “How Apply to Graduate School in the USA,” cosponsored by the Lemann Foundation of Brazil, walked students through the graduate application process step by step. Please wait a minute for the photo slider to load. 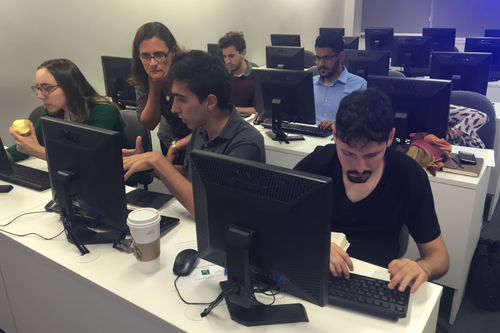 UCLA International Institute, September 6, 2016 —The Center for Brazilian Studies (CBS) offered a well-received course in how to apply to UCLA graduate programs in São Paulo earlier this summer. 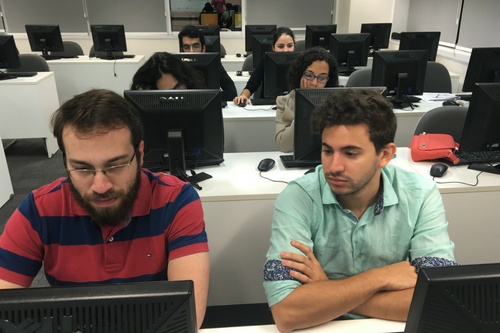 It was the first time the Center had offered such a course in Brazil. 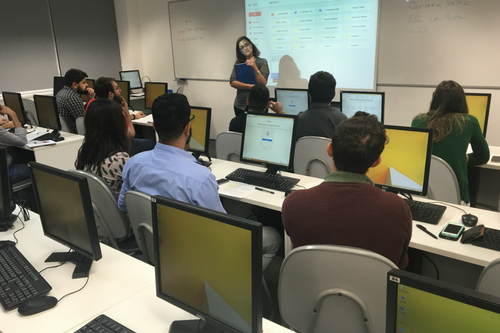 Led by Carleen Velez, a faculty member of UCLA’s Writing Programs and affiliated with the Center for World Languages, the five-day evening course was held from July 11–15 on the campus of Faculdade de Informática e Administração Paulista in São Paulo. Course content included a detailed explanation of the UCLA application process, personalized feedback on draft statements of purpose and tips on the TOEFL exam, letters of recommendations and resumes. 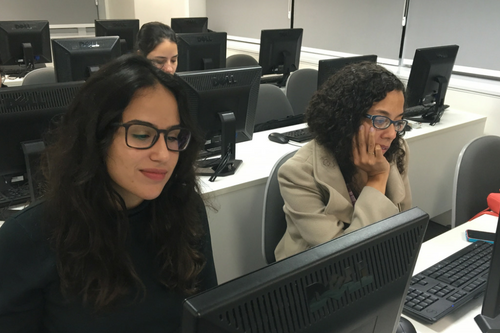 CBS Assistant Director Vanessa Pinheiro, who helped organize the workshop, traveled to Brazil to help facilitate the sessions. She also gave a talk at the Instituto Singularidades in São Paulo that same week. Held on July 13, the talk was organized by the Foundation Estudar and the Lemann Foundation. Speaking to a crowd of about 75 Brazilian students interested in applying to M.A. and Ph.D. programs at UCLA, Pinheiro painted a picture of life on campus, introduced the Center for Brazilian Studies and explained the competitive Lemann Fellowships available to Brazilian students. The scholarships enable students to pursue a master's degree in one of four graduate schools at UCLA: the schools of public health, public policy, management and education, respectively. In addition to answering many individual questions, Pinheiro showed a film about UCLA produced by the UCLA International Institute. Given the success of the initial course, it will certainly be offered again in Brazil — mostly likely in January and/or June, months preferred by this summer’s attendees.